KR99 - Far Superior to Other Strip Lights Optional programmable t..
LUMEN BRIGHT โคมเงิน แปดเหลี่ยม 16"
LUMEN BRIGHT โคมเงิน แปดเหลี่ยม 20"
A unique blend of sediments that duplicate tropical fringing coastal mangrove environments. Miner.. Miracle Mud® is a product of EcoSystem Aquarium®. 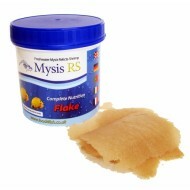 Miracle Mud is comprised of up..
Mysis RS flake is a high quality dry food alternative to frozen Mysis RS. The flak.. PINPOINT ORP (REDOX) Controller™ is an inexpensive rugged controller complete with a platinum ORP..
PINPOINT® pH Controller is an inexpensive yet rugged controller, which includes the app.. The Pinpoint pH replacement probes contain a 10 ft. cord, Ag-Ag/Cl reference, extended life, high..
Tthe PINPOINT® pH Monitor is in use by thousands of customers worldwide. This affordab..
PINPOINT® Salinity Monitor will accurately and immediately measure the amount of salt ..
American Marines Wireless Thermometer Utilizing a radio wave signal, the remote s..